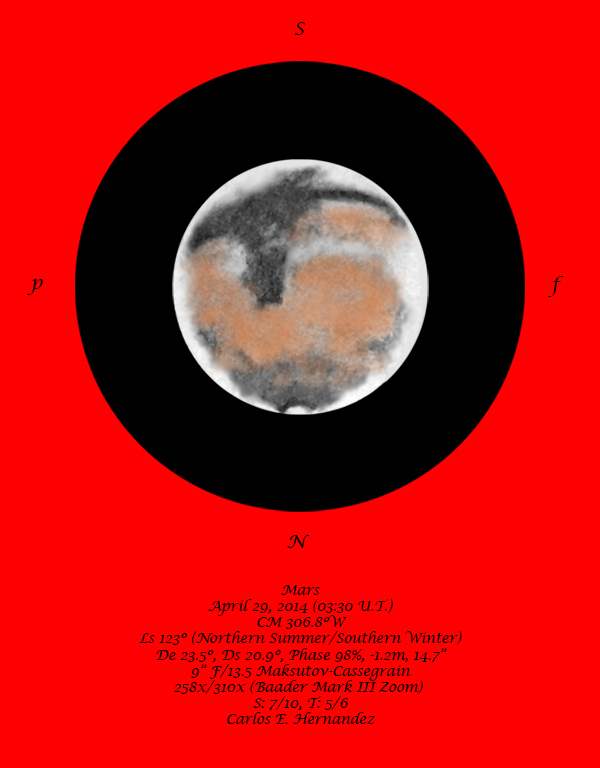 I made an observation of Mars on April 29, 2014 (03:30 U.T. or 11:30 PM EDT) using a 9-inch (23-cm) F/13.5 Maksutov-Cassegrain at 258x and 310x. Syrtis Major was prominent preceding the central Meridian (CM) with a cloud noted over its midsection flowing towards the East and into Libya (extending from an Equatorial Cloud Band (ECB) extending from from the following limb). The Hellas basin was noted to be very bright south of Syrtis Major towards the southern limb. Sinus Sabaeus was visible as a dark extension from the CM towards the South-following limb. The North Polar Cap (NPC) appeared small and brilliant. The NPC was surrounded by a dark collar. 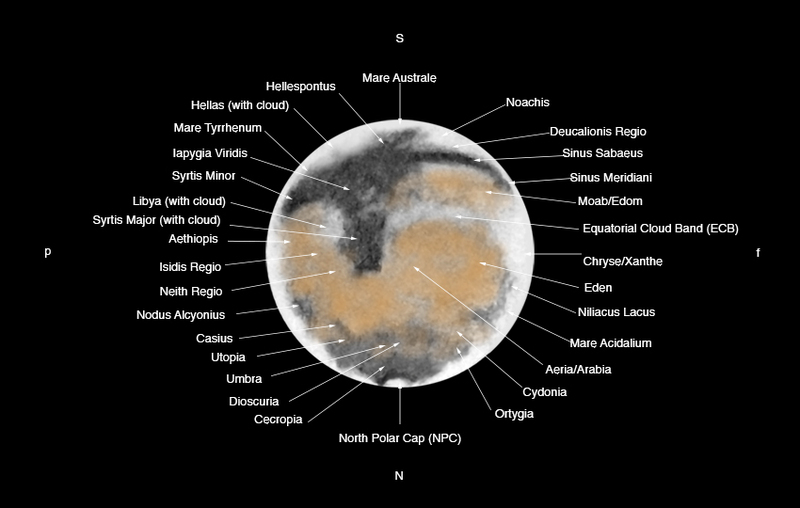 Dark to dusky maria was noted over the northern hemisphere of Mars. I have included an image that is labeled with the nomenclature of the majority of albedo features noted.I hope that you all like it. A beautiful detailed capture of the red planet. It doesn’t get better than this in sketching planets. Mars discovery, using a 9″ … The collimation was certainly perfect and the sky like no other. Really good job!